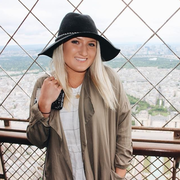 Hello, my name is Anna Steppke, and I'm currently in the Denver area for the summer for an apparel merchandising internship. I'm actually from Wisconsin, but go to Iowa State University for college. I would love to watch your pets, because I would do this all the time back at school. I would walk other's dogs, watch their dogs overnight, and also do visits if needed. I also have a couple cats and dogs of my own, so I definitely know how to take care of pets.